With the options on this tab you can full customize the exception types that should be processed in a different way. When an exception on this list is intercepted, it will not be processed in a normal way but following the specified Exception Filter setting. • the Action to execute (none, Terminate, Restart). 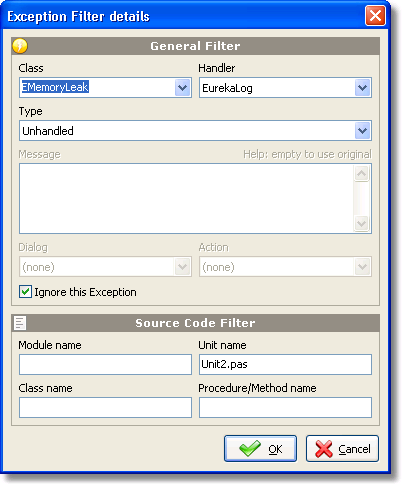 Use the "Add" key to add a new Exception Filter. 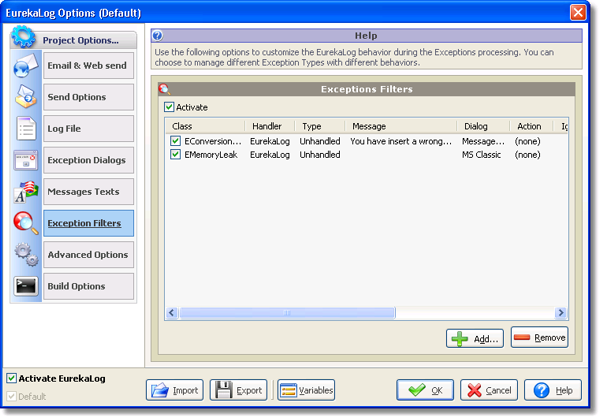 Use the "Remove" key to remove the selected Exception Filter. Use the "Activate" option to activate/deactivate this feature.